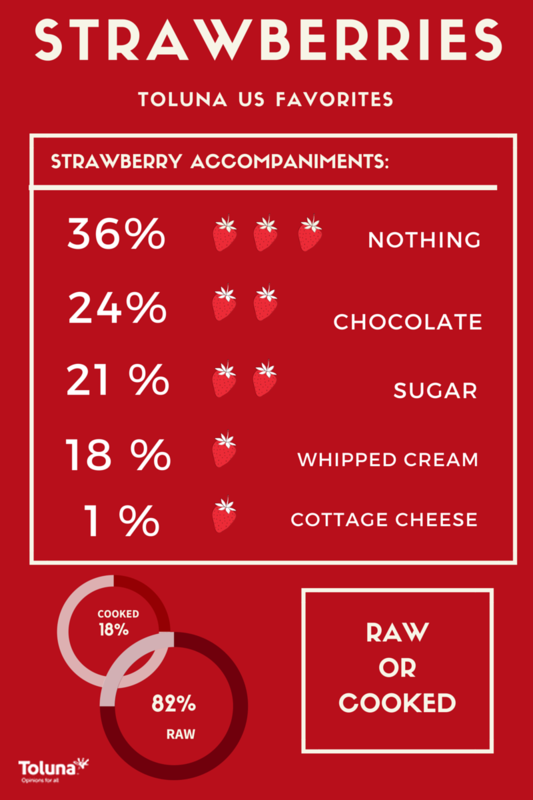 Friday February 27th was “National Strawberry Day,” so naturally we were curious to see what 2000 US Toluna members had to say about their favorite dishes with this sweet fruit. 1. Which of the following do you like to accompany your strawberries with? 2. Do you like strawberries raw, or cooked?